A gutsy performance from Stoke was rewarded with a scrappy late equaliser by Joe Allen, after substitute Anthony Martial had put the Red Devils into the lead at the Theatre of Dreams. Sitting at the foot of the table and winless at Old Trafford in 40 years, Stoke were looking to halt a United side seeking their fourth successive win to keep up with the pacesetters at the top of the table. The hosts kicked into top gear instantly too, with Zlatan Ibrahimovic spurning a glorious chance within the opening minute. A break down the right by Lingard with the decoy run of Valencia allowed Paul Pogba to collect possession in an advanced position. The Frenchman skipped past a challenge before sliding Ibrahimovic into the box. The Swede chose to stroke his finish towards the near post rather than curling it rather than Lee Grant, and the Stoke goalkeeper was able to shut him out with ease. Mourinho's side controlled the game effectively, with Pogba lighting up the midfield with exquisite footwork and a dominant show of power and pace as the Stoke midfield offer little more than a whimper. After a quarter of an hour, Geoff Cameron's sidefoot failed to trouble David De Gea after Joe Allen had escaped down the right flank to cut the ball back for the American. At the other end, a combination of passes between Ibrahimovic and Lingard allowed Pogba to storm in on goal, but the world-record signing dragged his shot wide. A huge let off for the Potters. Summer signing Grant continued to be the busier of the two goalkeepers, being forced into a handful of crucial saves by Ibrahimovic and Mata as United began to show signs of frustration going into the break goalless despite their overwhelming dominance. Mark Hughes' half-time words were clearly still ringing in his players' heads, as they looked to go ahead early on in the second period. Bruno Martins Indi headed goalwards from a free-kick, but was marginally offside. Keeping the momentum strong going forward, Joe Allen seeked to break the deadlock, but his tame effort was no challenge for De Gea. 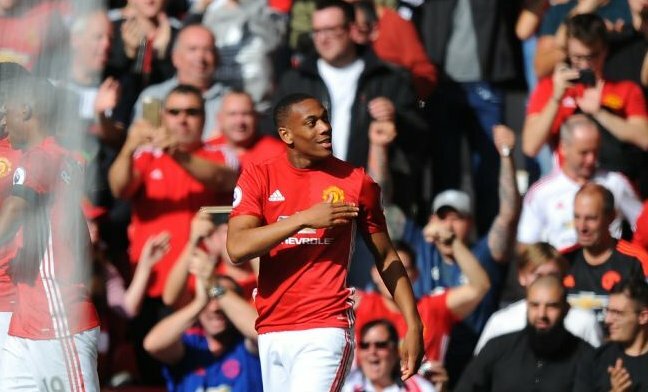 As the clock began to wind down, Anthony Martial and Wayne Rooney entered the field of play, replacing Lingard and Mata with under half an hour to play. The pair made an almost instant impact, with a swift one-two culminating with the ex-Monaco man firing a clinical finish beyond Grant to send the Theatre of Dreams into euphoria. Stoke's resistance was broken, and they were in danger of leaking further goals as heads dropped. 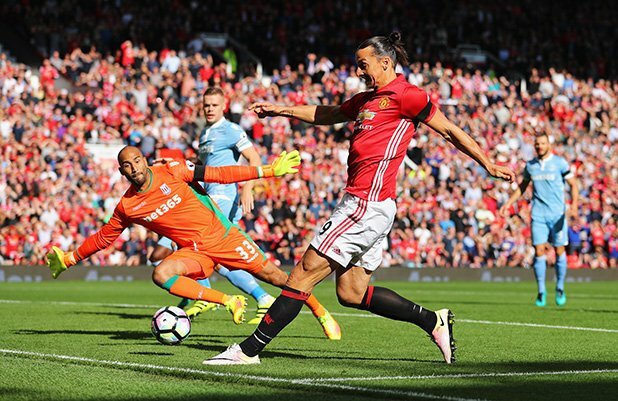 Ibrahimovic, Rooney and Martial all fired efforts on goal, but Stoke's backline held strong against the 20-time Champions of England. With just eight minutes to go, the visitors somehow wrestled a goal back against all odds. A scrappy goal preceded by a spillage by De Gea and Walters rattling the bar, Joe Allen blasted home with an instinctive finish to reward the Potters' stern resistance against the star-studded attacking prowess of United. A talking point of the game will surely be the inefficiency of Ibrahimovic at the focal point of the attack. While the Swedish star spurned a couple of inviting chances, he was virtually invisible at times in the game, having to drop deeper and rotating with Rooney in the latter parts of the game to get involved. 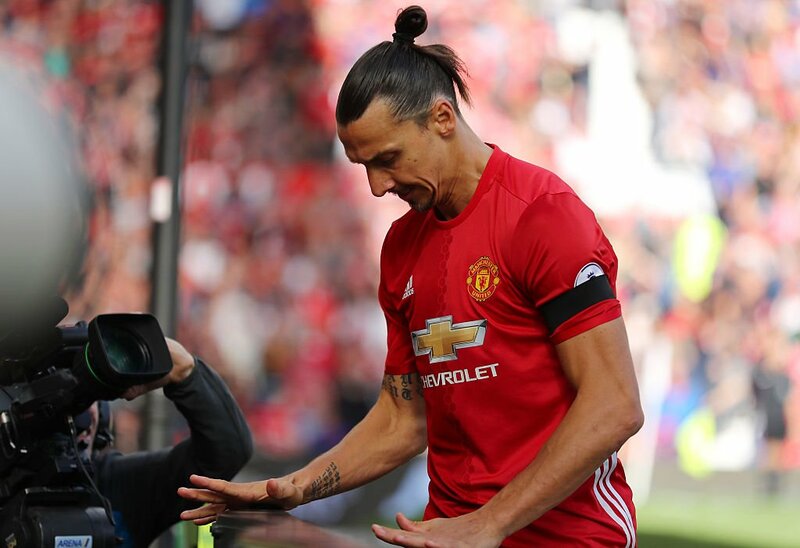 It may just have been the wits of Shawcross and Cameron limiting his involvement, however, as we know Zlatan can light up any game at any given moment.